A crossbow is an investment. It makes no difference if you need it with hunting purposes or you want to train for a competition. For this reason, make sure you invest in a quality unit that will provide good value for your money. A little research will open lots of doors in this venture. You'll inevitably run into a series of reviews as well. 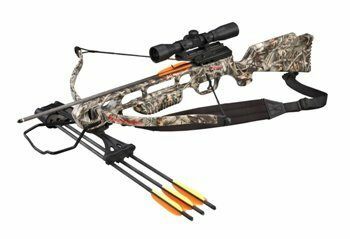 With these aspects in mind, SA Sports Fever Crossbow seems to be one of the best rated products in this range. However, it's imperative to assess your necessities and make sure it can deliver. Go on through this detailed SA Sports Fever Crossbow review and find out how to get as much as possible from this model. For those who wants to see a quick summary, here are our thoughts on this crossbow. SA Sports has designed this model for the average archer. In other words, it makes no difference how experienced you are with crossbows. You can be a complete beginner or a more experienced user – chances are it will raise to your expectations. 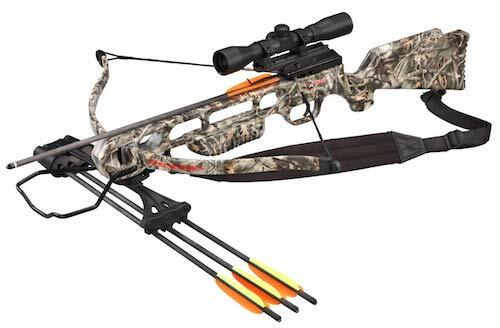 Just like for all of its crossbows, SA Sports provides a one year limited warranty for this unit. It's not the longest warranty, but remember this is a low cost crossbow. Other than that, it features a warranty card for the original owner only. The crossbow measures 33 x 11 x 4 inches. Although it seems longer than other crossbows in this segment, it's actually more compact. You won't have any issues carrying or firing it due to its size. It features a dipped camouflage design. In terms of weight, it goes just under 5 pounds. It's one of the lightest crossbows in this range. Even if you're not used to hunting, you won't even feel it while carrying it around. You can go hunting for hours without feeling any discomfort. The shoulder sling makes carrying it even easier. Plus, it's padded for more comfort. This SA Sports outdoor gear has a short power stroke – directly proportional with its weight. Surprisingly enough for many, the drawing weight is quite heavy for its size – 175 pounds. Despite the drawing weight, its speed is not the highest in this range – 240 feet per second. It's about 25% lower than the average speed in this segment. However, it's still a solid unit that can deliver 51FP of kinetic energy. You usually need about 40FP to take down a deer – a bit more if it's large. Accuracy shouldn't cause any issues because the SA Sports Fever crossbow package comes with a 4x32mm multi-range scope. The scope sights in well, yet it might wobble if you fail to install it properly. 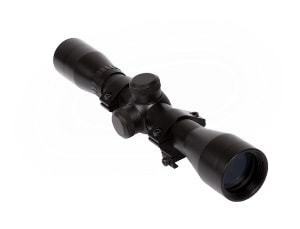 The scope is qualitative – crisp optics and a solid fog protection. It may not feature any bells and whistles like illumination, but it's quite impressive for daylight conditions. Pretty much every review from this particular brand will claim on its capabilities. Safety is critical when dealing with weapons and crossbows make no exception. 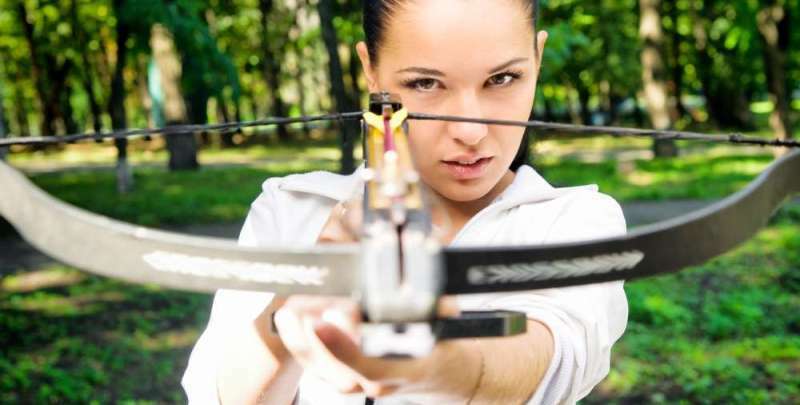 SA Sports crossbows are known for implementing some of the strictest safety features. This model comes with the classic anti dry fire system. The mechanism prevents accidental fires without having an arrow fitted on. While it doesn't seem like a harmful accident, holding it in the wrong direction can seriously injure you. The automatic safety is just as handy. It engages automatically and has the same main role – preventing accidental fires. Cocking the crossbow is smooth and easy. The package includes a cocking rope mechanism. While it should be standard in pretty much every crossbow, many manufacturers overlook it, so you'd have to buy it separately – not with the Fever crossbow though. Despite the 175 pound drawing weight, pulling back is piece of cake regardless of your fitness level. Every review from SA Sports Fever crossbow will appreciate the full package associated with this model. It even brings in four arrows made from 2219 aluminum. Each of them measures 16 inches. They're quite durable and provide an optimal experience. However, chances are you can slightly improve the speed and kinetic energy if you invest in longer bolts. It's a matter of personal preferences though and the difference won't be massive. When you fire, you'll hear a twang sound from the string. Despite not having any mechanisms to prevent noise, the crossbow is pretty quiet. Even if your prey hears it, you can still hit it due to its speed. Just make sure your aim is good and there's no way you can fail. The package is complete and brings in everything you might need to start using the crossbow within the first hour. Apart from the actual product, you also get a multi-range scope, a padded shoulder sling, a quick detach quiver and a stringer cable. 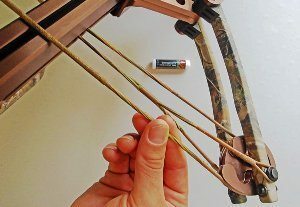 Fortunately, the package includes a rope cocking device as well, which is one of the essentials that many crossbows miss. You get four 16 inch arrows made from aluminum, the warranty card and an owner's manual. Putting the SA Sports crossbow together is fairly simple. Start with the limb protectors and foot stirrup, then fit the limb in. String the bow – make sure you use the stringer cable or the crossbow won't be strung appropriately. Install the quiver and the scope, then you're ready to try it out. The owner's manual may not be the most detailed manual in the world though. All the hardware and tools are included in the package. If you're not sure about what you're doing, head to a professional instead. The Fever crossbow features a rifle style. This style gains more and more popularity due to its convenience. Simply put, it's shaped like a rifle with an arrow on top. It's easy to carry around, compact and allows better aiming. How? Simple! You can rest it against your shoulder, so it's more stable. Plus, the shoulder grabs some of its weight. Maintenance doesn't ask for too much. Just lube the rail occasionally. There are no maintenance products in the package though, so you'll have to buy them separately. Ideally, you should perform small maintenance every 10 shots if you want this crossbow to last. 1. Can I use this crossbow for hunting? This model has just enough kinetic energy to take down a deer. While most experts recommend 40FP of kinetic energy for an average size deer, this crossbow comes with 51FP of kinetic energy. Therefore, you can take a deer down from a decent distance. Check out other models here. 2. What bolts should I use with my crossbow? The package features four 16 inch 2219 aluminum bolts. Obviously, you are free to change them or replace them overtime. If you want the crossbow for target shooting, this size is ideal. You might gain more accuracy with longer bolts though. Longer bolts are also better for hunters due to the longer shaft. 3. What is the maximum range of my crossbow? The maximum range of a crossbow depends on its speed. Crossbows with speeds under 300 yards per second like the Fever model go for a maximum range of 35 yards. Of course, you can shoot further than that, but the arrow will lose accuracy after this distance. Crossbows with a higher speed can exceed 50 yards in range. As a short final conclusion, this SA Sports Fever Crossbow review should give you all the details you need for a proper choice. It's a low cost model that makes a good option for both newbies and more experienced users. It's rated at 4.1 out of 5 stars and it's easy to tell why – no fancy bells and whistles to boost the price, but just basic features well put together and plenty of safety.